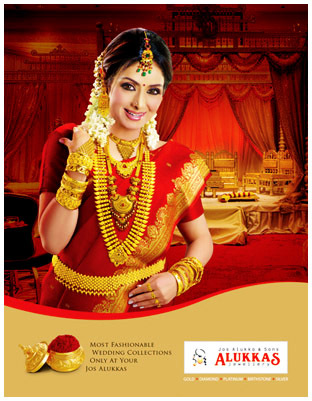 Alukkas Jewellery or Jos Alukka and Sons Jewellers is one of the leading Jewellery shops in Trivandrum, Kerala. Situated on the East Nada of Sree Padmanabhaswamy Temple in East Fort, Jos Alukkas and Sons Jewellery offers the best gold, diamond, and platinum jewelry. Jos Alukkas Jewellery showcases a wide range of gold ornaments such as Necklaces, Bangles, Pendants, Chains, Rings, Earrings and Bracelets. Product list include designer bangles, north indian style necklaces, navaratna pendants, Exotic gold Chains, light weight chains, Birth Stone Rings, diamond Pendant Set, Diamond Eardrops, Platinum rings, and Navaratnam rings. Pearl and silver products are also showcased. Find contact details of Jos Alukkas Jewellery East Fort Showroom at Shopping business listings category in Thiruvananthapuram Business Directory.